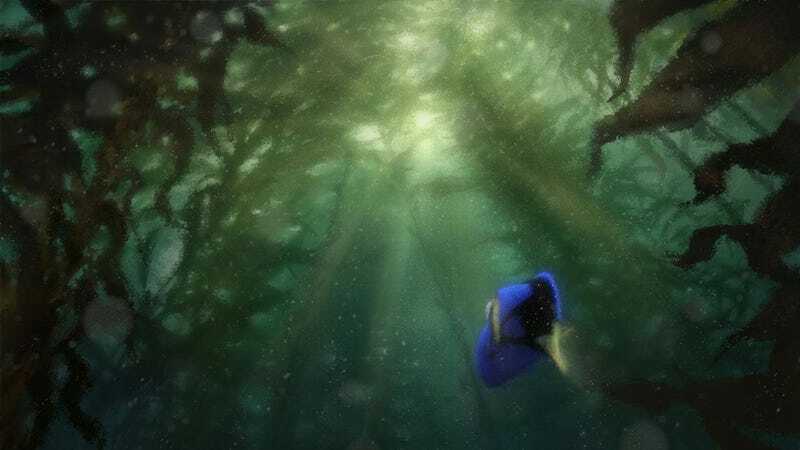 There may be something darker brewing under the surface of the Finding Nemo sequel Finding Dory. Turns out the absolutely devastating orca documentary about the killer whale Tilikum (who killed three trainers) has altered the movie's ending. At D23 Pixar announced their plans for the fishy sequel, without a hint of a darker SeaWorld-slamming story. But the New York Times is reporting that the early script of Finding Dory had a scene that ended in a marine park. But thanks to the documentary Blackfish, and loads of bad press the followed SeaWorld after its premiere, Pixar "decided to restructure that part of the story so that the fish and mammals taken to its aquatic center have the option to leave." Here's the trailer for Blackfish. Director Andrew Stanton (“Finding Nemo,” “WALL•E”) and producer Lindsey Collins (co-producer “WALL•E”) shared exciting voice cast announcements forDisney•Pixar’s “Finding Dory.” Joining Ellen DeGeneres, who provides the voice of Dory, are Albert Brooks as the voice of Marlin, Diane Keaton as the voice of Dory’s mom Jenny, Eugene Levy as the voice of Dory’s dad Charlie, and Ty Burrell as the voice of Bailey. The all-new big-screen adventure dives into theaters Nov. 25, 2015, taking moviegoers back to the extraordinary underwater world from the original film. “Finding Dory” reunites the friendly-but-forgetful blue tang fish with her loved ones, and everyone learns a few things about the true meaning of family along the way.